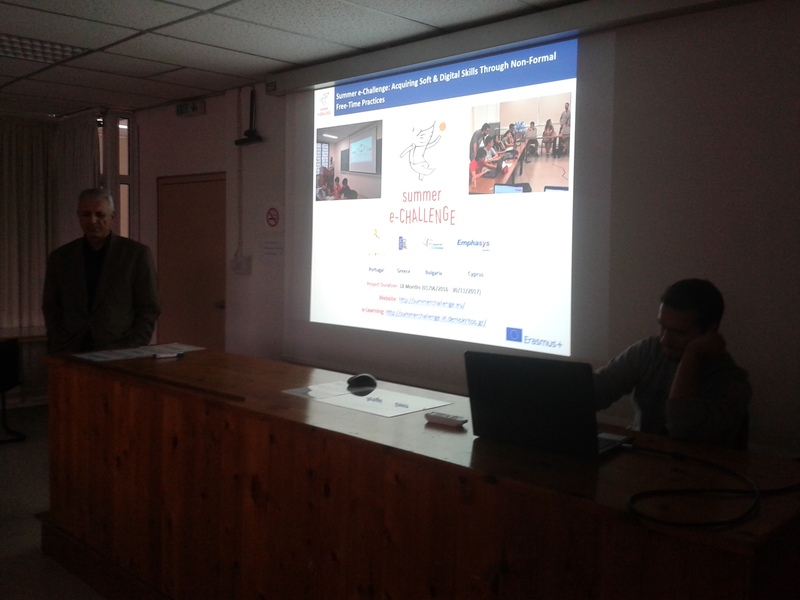 On Monday 6 November 2017, the members of Net Media Lab that participated in the Summer e-Challenge project had the opportunity to present the products and results of the project to other colleagues, external collaborators as well as teachers with which Net Media Lab collaborates. 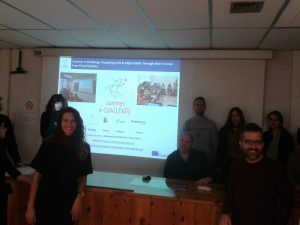 The speakers focused on the aims of the project, the e-learning platform that was developed in the framework of the project as well as the summer school that was organized and implemented between 26 June and 7 July 2017. 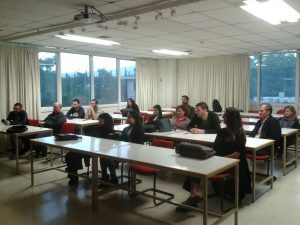 The dissemination event took place at the Lecture Room of the Institute of Informatics and Telecommunications of N.C.S.R. “Demokritos” to an audience of 15 people. 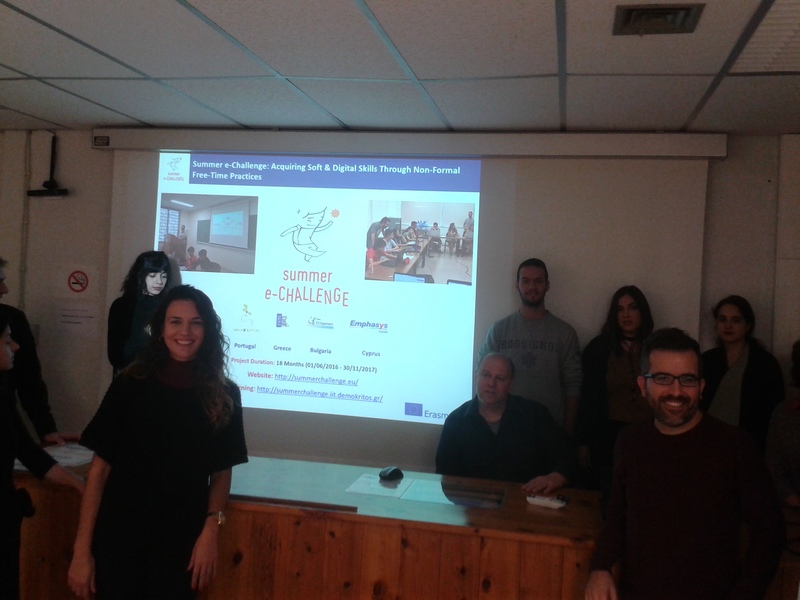 “Summer eChallenge – Acquiring Soft & Digital Skills Through Non-formal Free-time Practices” is a project co-funded by the Erasmus+ Youth in Action programme of the European Union. This communication reflects the views only of the author, and the Commission cannot be held responsible for any use which may be made of the information contained therein.